During the hiatus following the market crash in the fall of 2008, my time was spent talking with people and trying to understand the potential for mobile payments. The first question one must ask is – What is it? What for me was the challenge is understanding why people saw mobile banking as something different than what they already offered through their existing internet services. 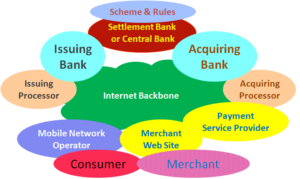 for me Mobile Banking could be as simply a WAP or smart phone browser based implementation of the existing eBanking suite of services. There is so much that has to be thought about as the other enabling features are implemented. SMS alerts are obvious first steps. Retention has to be built in as an objective. Know your customer becomes a marketable service. two and three factor authentication becomes practical. Through all of this, stakeholders stood out as the challenge. 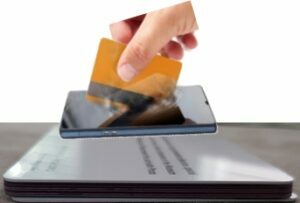 How will the mobile network operators, carriers, hand set distributors and payment schemes, manufactures, financial institutions, banks, merchants, ISOs, processors, agents … work together in a mutually rewarding way to allow mobile payments to emerge. The business case, like so many others, is dependent on consumer uptake and existing reports suggest that the cell phone user understands and will embrace; as long as costs are low, functionality is user friendly, input is intuitive and easy, and setup is effortless.